Manu Ginobili has played his final game, and with that a new era awaits the San Antonio Spurs. Ginobili announced his decision to retire Monday, the 41-year-old wrapping up what he called a "fabulous journey" in which he helped the Spurs win four NBA championships in 16 seasons with the club. The smooth left-handed guard from Argentina came to San Antonio in 2002, forming what quickly became a powerful "Big 3" alongside Tim Duncan and Tony Parker. Now, they've all moved on: Duncan retired two years ago, Parker left San Antonio earlier this summer as a free agent to sign with the Charlotte Hornets, and Ginobili has worn Spurs colors for the last time as well. "Today, with a wide range of feelings, I'm announcing my retirement from basketball," Ginobili wrote on Twitter in making the announcement. "IMMENSE GRATITUDE to everyone (family, friends, teammates, coaches, staff, fans) involved in my life in the last 23 years. It's been a fabulous journey. Way beyond my wildest dreams." 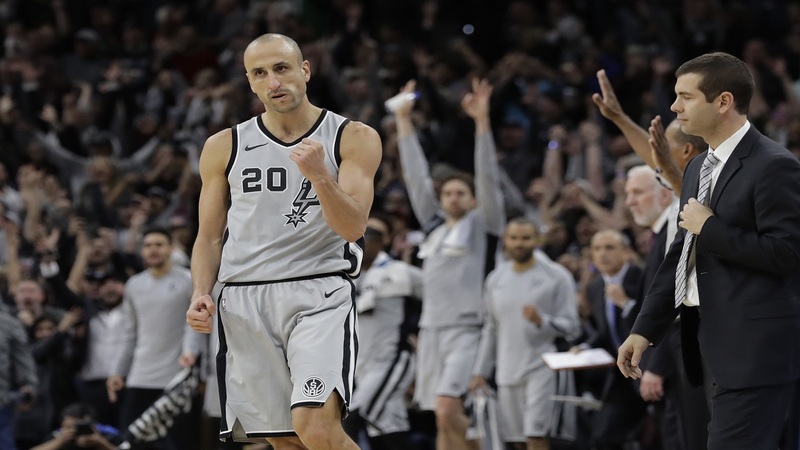 The image Ginobili chose to accompany that tweet: A photo of him walking off the floor, away from the camera, with four fingers aloft — signifying his four titles. "An NBA champion and All-Star, Manu Ginobili is also a pioneer who helped globalize the NBA," NBA Commissioner Adam Silver said. "He is one of basketball's greatest ambassadors who believes in the power of sports to change lives. And for 16 years, we were fortunate to watch a legend compete at the highest level. Thank you, Manu, for a career that inspired millions of people around the world." Ginobili's pro career lasted 23 seasons in all, starting with stints in Italy and Argentina. His drawing power was massive even in his final season, and it was common for him to spend plenty of time before road games posing for photos and signing autographs — often international fans proudly displaying an Argentine flag. "A role model for all of us that love this wonderful sport," Spurs forward Pau Gasol said. Duncan, Parker, Ginobili and Kawhi Leonard were the backbone of San Antonio's drive to its most recent NBA championship in 2014, and this will be the first time that Gregg Popovich begins a season as the Spurs' head coach with none of those players on the roster. 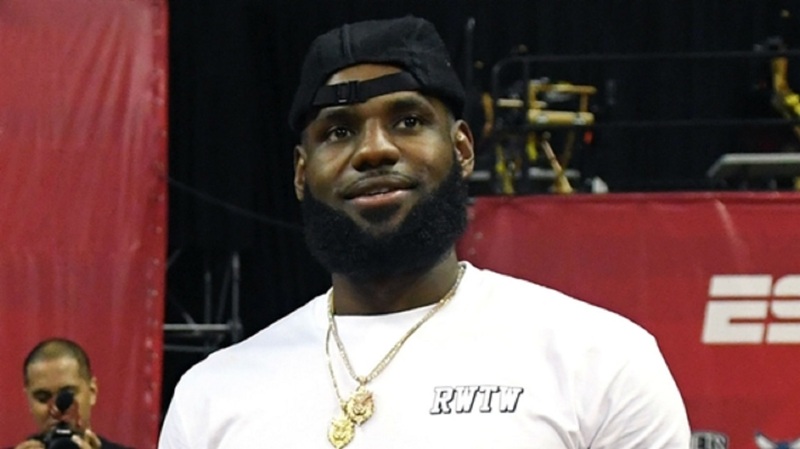 Leonard was traded to the Toronto Raptors for DeMar DeRozan earlier this summer, the end of a relationship in San Antonio that had apparently gone too sour to save. Leonard's departure meant Ginobili would have been the last significant player tied to the Spurs' title years. But in the end, retirement was his call. "Great player. Fierce competitor. Winner," Dallas star Dirk Nowitzki said on Twitter. "Next stop: HOF." Indeed, getting enshrined in the Basketball Hall of Fame would seem like a certainty for Ginobili. The No. 57 pick in the 1999 draft, Ginobili averaged 13.3 points and 3.8 assists in 1,057 regular-season games. He was a two-time All-Star and was the league's Sixth Man of the Year for the 2007-08 season (getting 123 of 124 votes), plus he teamed with Popovich for 135 playoff wins — the third-highest total for any player-coach combo in NBA history. The only two with more? Popovich and Duncan won 157, and Popovich and Parker won 137. "Thanks for all you did for the game gramps," Spurs forward Rudy Gay tweeted, poking fun at Ginobili's age. Gay's sentiment was shared by many in the NBA, and the Spurs quickly put up a page of on- and off-the-court highlights that bore the simplest of messages: "Gracias, Manu." Ginobili, even though he was often coming off the bench, has a resume of postseason production like almost no one else. Only two players have more than 800 rebounds, 800 assists and 300 3-pointers in their playoff careers — Ginobili and LeBron James. "Thank you for what you have done for your fellow lefties and a bringing an unmatched level of creativity to the game," Atlanta's Kent Bazemore wrote to Ginobili in a tweet. 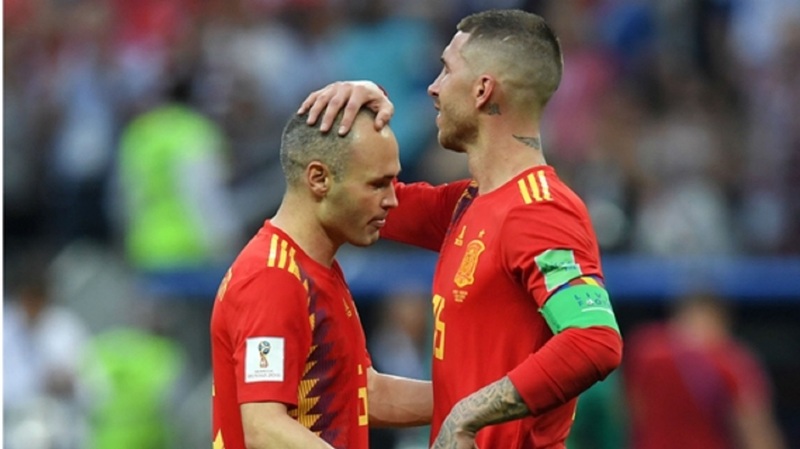 "Much respect." 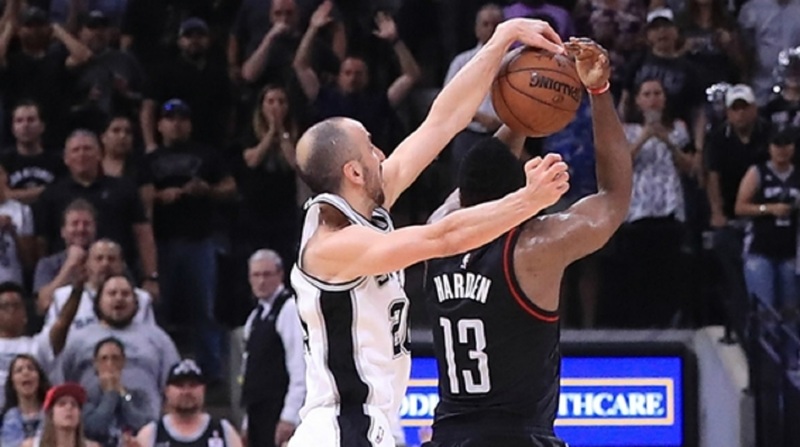 Ginobili's final game was April 24, when the Spurs were ousted from the Western Conference playoffs by the eventual champion Golden State Warriors. San Antonio lost the series 4-1. Warriors coach Steve Kerr was once a teammate of Ginobili's in San Antonio. And as Golden State celebrated moving on to the second round, Kerr offered Ginobili a sales pitch. "Keep going, OK? Why not?" Kerr told Ginobili that day at Oracle Arena as they shared an embrace. "Hey, we met Roger Federer this year in China. I said 'Why do you keep playing?' He said 'I love it.' If you love it, keep going." Moments later, Ginobili left an NBA court as a player for the last time.